To be socially responsible, financial system should be able to provide financial supports to businesses in need. If financial system grants loans only during economic booms and rejects financial consumers amid economic difficulties, it is very underdeveloped financial system. Taking off from this backwardness of financial system, we are seeking advancement of our system by adequately financing our economy even under depressing economic circumstances. This is how genuine social responsibility is shaped. Financial policy institutions should complement market system, addressing what market cannot take into consideration. Those policy institutions are to support businesses with growth potential, despite being temporarily challenged by the current economic circumstances. By serving its given role, the institutions may build up their one legitimacy as well-established entities. Overall, FSC owes macroscopic responsibility across our financial system. The given task is encouraging more SMEs to better perform in our economy, while asking banks and related institutions to provide financial supports to those SMEs. With regard to policy measure, FSC is planning to introduce ‘KONEX’, the securities market specially designed for SMEs. By establishing KONEX, FSC is looking forward to financing SMEs in more effective manner. Of course, close monitoring will be continued to design polices really in demand. This is a follow-up post, so if you would like to know the background to the meeting, please click this link to read the previous post. Here is the meeting result. 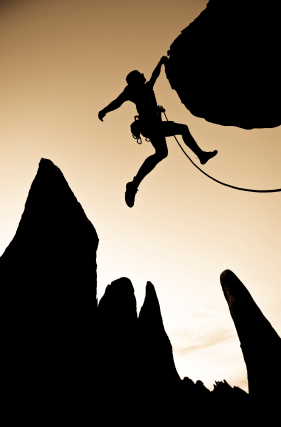 Financial difficulties are widely experienced by SMEs, as real economy is going through a tough period. Moreover, as economic condition does not seem to recover quickly, further financial challenges are expected. SMEs might have another difficulty. The meeting checked up how financial support has been supplied so far. Aftermath the Global Financial Crisis, financial support was intentionally increased for the purpose of helping out SMEs. 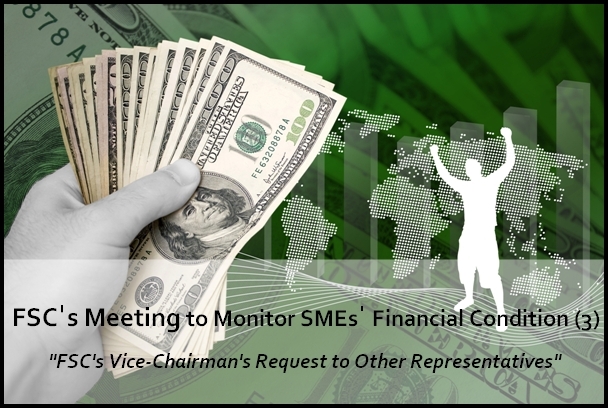 This trend still remains, showing relatively high level of financial support being provided to SMEs. However, the problem is that such support is not ‘evenly’ shared by all the sectors. Of course, each sector cannot receive exactly same amount of support. However, there is some notable differentiation, which widens a gap between the sectors. Due to enhanced risk management, banks do not grant loans as much as before. This makes it harder for SMEs to find out sources of financing their businesses. Along with this trend, financial policy entities have been making efforts to provide policy loans. As a result, policy loans take a growing proportion out of overall loans available to SMEs. Credit assessment procedure by banks was tightened as well. Accordingly, banks are over-preferring blue-chip companies to other small merchants and businesses with potential vulnerabilities. SMEs, with weak security capacity, are facing difficulties to apply for loans. Overall, today’s meeting found out that SMEs will have been experiencing difficulties of financing their businesses due to economic downturns and vulnerabilities in the market. In this regards, FSC’s Vice Chairman asked some points to the representatives. Please move on to the next post to see what was requested by Mr. Choo! 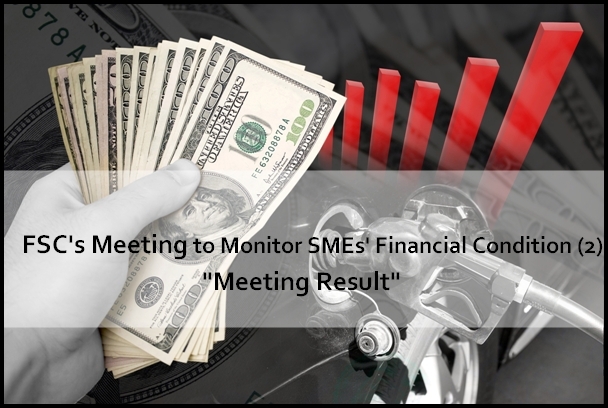 Today, early in the morning, FSC held a meeting to monitor SMEs’ financial condition and to see how loans have been granted to them. The meeting was called early in the morning, at around half past eight. It was held under the chairmanship of FSC’s Vice President Choo Kyung Ho. 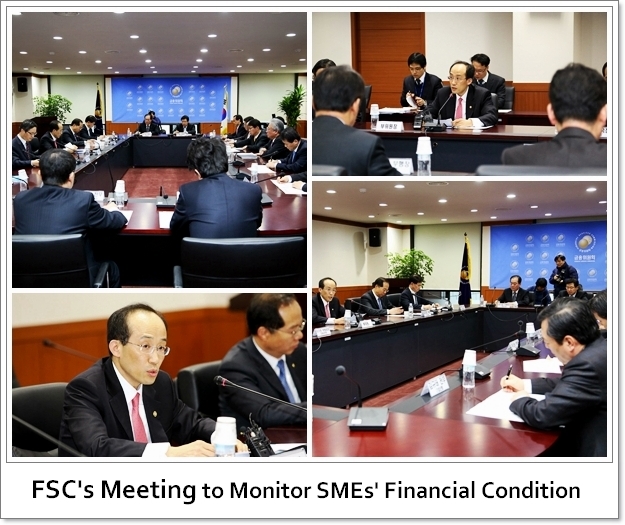 The meeting was attended by the representatives of various institutions, including Financial Supervisory Service (FSS), Bank of Korea (BoK), Korea Finance Corporation (KOFC), other related bodies and major banks. Why all those representatives coming together for this meeting? It would be better for you to know the background to this meeting. As you all know, the real economy is under depression along with vulnerabilities at home and abroad. Under this economic circumstance, SMEs are having difficulty running businesses, finding it hard to finance themselves. If this economic condition continues, situation will become worse and tougher for SMEs. Acknowledging that the current situation demands effective policy measures, FSC held today’s meeting. Mr. Choo and other representatives discussed the issue, and closely monitored how SMEs managed their businesses so far. If you want to know more details about this meeting, keep your eyes on the follow-up posts! 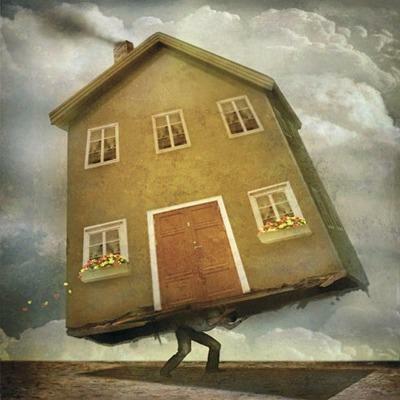 Household Loans, how do they matter in our economy? Hi all, this is Tony back. If you have read my posts, you would notice that lots of them are closely related to ‘household finance’. Today’s topic deals with a coherent issue, as I am telling you ‘household loans’. As you have already read in my previous posts, the number of house poor is growing due to excessive amount of mortgage loans. To deal with this matter, a low interest rate is being introduced. 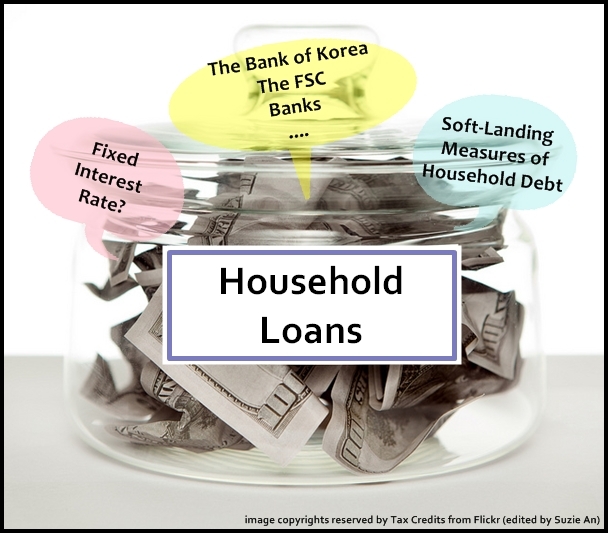 According to the Bank of Korea statistics, 47.30 percent of newly issued household loans are based on a fixed interest rate. The rate was for 11% in September 2010, 26.20% for September 2011, and lastly 47.30% this year. Along with this, the aggregate total ratio of fixed rate loans increased to 16.70%. This is the highest figure ever since they started being recorded. What would be the reason for this phenomenon? The biggest reason is that the financial authorities placed emphasis on loans with fixed interest rates. Accordingly, monetary institutions are encouraged to promote fixed interest rates. However, this is not the only reason why households are looking for fixed interest rates for their financial products. One person in baking industry said in an interview, “When the government announced this policy, it seemed that the fixed interest rate did not really matter much. However, with the downward pressure on policy interest rate, the fixed interest rate begins attracting more attention. In June last year, Financial Services Commission (FSC) had announced ‘Soft-Landing Measures of Household Debts’. However, till this February, the importance on household debt for fixed rate was set at less than 10% despite FSC’s Soft-Landing Measures of Household Debts. But as the Bank of Korea rolled back policy interest rate twice consecutively, the gravity on policy interest rate grew in a wide variation. This phenomenon marking down the policy interest rate seems to be more invigorated. 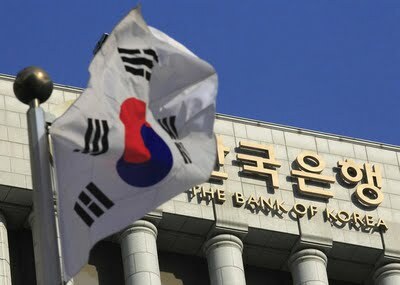 One of the authorities in banking industry said, “There is a possibility that the Bank of Korea will cut additional policy interest rate.If economy gets better by the next year, they will bring the interest rateback into the process of normalization (increasing the rate of interest). How can we describe ourselves as economic subjects? Hi, folks! It’s Tuesaday morning. After having a hetic Monday yesterday, are you all back to our normal mode of working/studying? How was your weekend? Well, I went shopping and bought some warm clothes and a pair of boots for the upcoming winter. While shopping, it was pretty hard to stop myself from being a shopper-holic. When buying stuff, I assume that my choices are very rational. You would think the same when shopping. However, I would like to talk about our ‘irrational behaviors’ as economic subjects. After briefly explaining this, let’s look at an index indicating how our mental states affect our spending patterns. As mentioned above, we cannot be always rational and logical when making purchases. Does anyone know ‘ratchet effect’? It happens when incomes increase temporarily but fall back to the previous level after a while. Despite a fall in income, an individual hardly reduces spending. Indeed, it takes time for him/her to get used to the change. Isn’t it interesting? Well, what else? Have you heard of the ‘cliff effect?’ It is another word referring to individuals’ psychological influences over investment and expenditure. It is said that people react more to expectation or their own rating rather than the real factors in the economy. That is, people respond in an intuitive manner, as often seen in stock markets. Now, it is clear that, somehow, our mental state is an important driver for purchase and investment. Then, how can we measure it? It cannot be measured accurately, but there is an index called ESI portraying your reactions. Hi, guys! I hope you guys have waited for my next article. The topic for today is very closely related to the issue of ‘house poor’ which I wrote several times. I guess by now you all know what a house poor, right? However, for the readers who haven’t read my previous articles on the issue, I will briefly explain the basic idea of house poor once again. House poor refer to households having their own houses but regarded as being poor. Why are they considered poor even if they have their own houses under their names? This is because those people purchase their houses with excessive mortgage loans at low interest rates, when the housing prices skyrocket. Lots of countries, including Korea, fostered policies of lending out mortgage loans at low interest rates. Despite its intention to invigorate economic situations, it led to numerous problems. Above all, the biggest problem is a concern related to house poor. It needs to be acknowledged that financial authorities and the congress have tried hard to design and implement lots of financial policies to save house poor out of debt traps. However, such efforts did not seem working well. This article tells you another measure for house poor, which was newly announced by the Bank of Korea few days ago. This policy is considered as one of the most groundbreaking measures. If you read my previous post about ‘parliamentary inspection of the administrative boards’, you would notice that there were lots of questions asked in regard to saving the house poor. Considering the urgency to address this issue, the Bank of Korea announced ‘a fall in the rate of interest’. This measure, extensively focusing on the house poor problem, is also expected to stop plunging the real estate market in Korea. However, just like any other policies, a fall in interest rate might not bring an expected outcome. If so, the effect of low interest rate will be very limited in the real estate market. Moreover, considering the continuous economic stagnation, the low interest rate cannot guarantee an instant relief in the market. 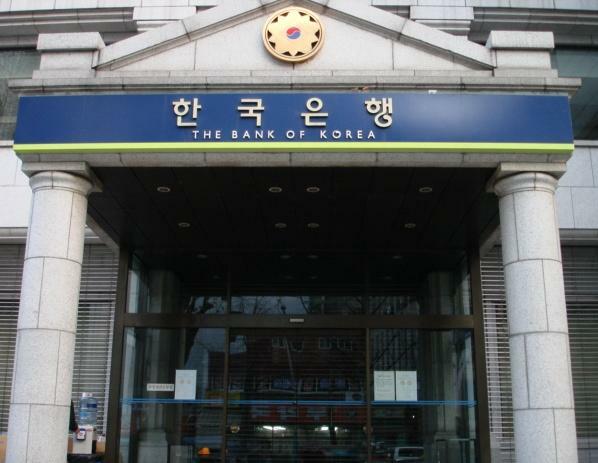 With the announcement by the Bank of Korea on 11th of October, the interest rate fell from 2.75 percent to 2.5 percent, which is a significant decrease. 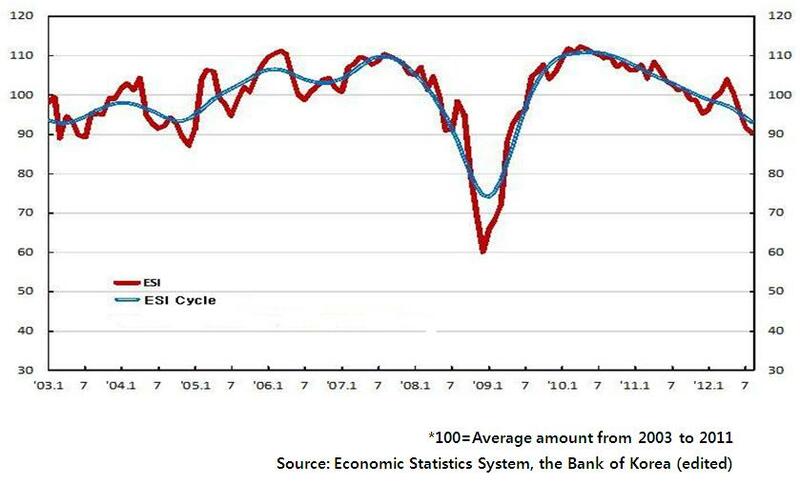 The Bank of Korea held a view that this fall in interest rate will prevent further proliferation of house poor, while bolstering government policies to vitalize businesses. After the announcement by the Bank of Korea, there are increasing enquiries in real estate market. People are wondering how they should plan for home loans. Without doubt, this change in interest rate has both pros and cons. Some house poor would welcome this policy, while others do not. For this measure to bring the best feasible outcome as expected, the government should encourage more participation and cooperation of other financial institutions. And for now, a close monitoring is in need to see whether the low interest drives our economy in the right direction.